I am so excited to do a countdown to Vegas and the NFR this year, with some fun short blog posts with amazing friends! I have asked 6 of my friends who are no strangers to the Vegas scene to help us! All of these ladies are continually styling, smiling and loving God! Each day I will feature a new woman leading up to Round 1! I asked each of these ladies 3 quick questions, because I know they all have a lot to do in preparation for their travels to Vegas! So without further ado lets get this thing started!!! All I have to say about today’s guest is eeek! haha! Today I am so blessed to introduce y’all to one of my sweet friends Ashley Minor!!! I love Ash she is one of my go to fashionistas when I need help. She is always bringing her A game to the fashion stage as well! 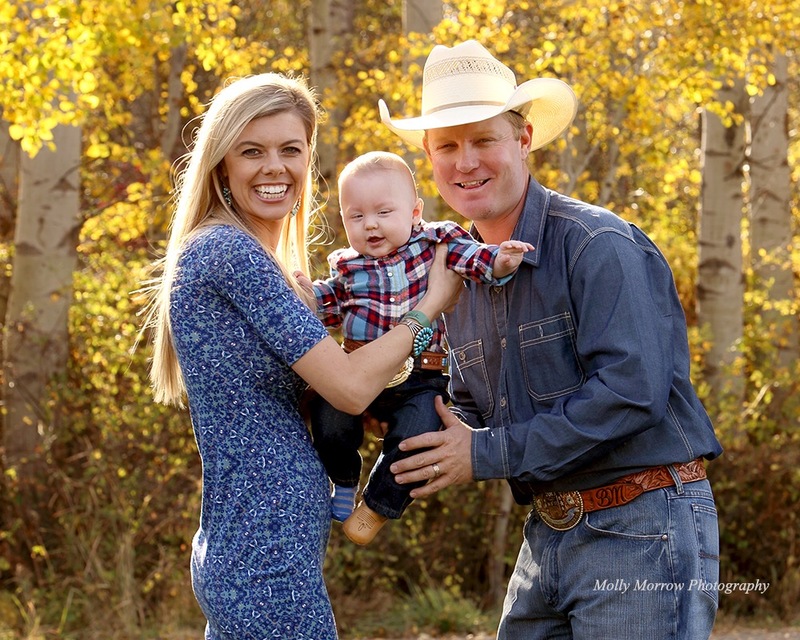 She is the wife of 7x NFR Heeling Qualifer Brady Minor and momma to the ever cute Maverick Minor! Ashley and I have known each other for a few years now and I just adore her and her heart. She is so sweet and kind and has excellent taste in clothes! haha! She truly has an amazing eye for fashion. I have defiantly called upon her advice a time or 2 now! When I decided to do this countdown she was one of the first people I just had to ask to be a part! So let’s get this party started and let me have the honor of introducing y’all to my sweet friend Ashley! Questions #1 What are 3 things that are a must for you purse for Vegas? Question #2 What is your favorite place to eat in Vegas? Question #3 What is your favorite scripture? Ashley thank you so much for joining us on today’s Countdown to Vegas blog! We know you are busy getting everything ready for Vegas! I personally can’t wait to see your fabulous outfits!!! Let’s all standing in agreement and pray for Ashley, Brady and Baby Maverick as they get teady for Vegas! Lord we thank you for your protection over all of them for peace love and joy to flow through them and for an awesome and prosperous 10 rounds during the NFR this year. In Jesus name Amen!! Thank you again Ash!! I hope all you readers are enjoying this as much as I am!! Love and Blessings to all traveling and getting ready to head to Vegas and to those who will be hanging out at home cheering everyone on!! Up first is the amazing Haley Corkill! She is the wife of 3x World Champion Heeler, Jade Corkill and the mother of 2 cute little boys; Colby and Kelton Corkill! But Haley is not just an amazing wife and mom she is a great friend with a big heart! Haley and I have been friends now for a couple of years! I have always just loved being around her and I truly just love her heart. I personally think is made of gold! I admire Haley’s style so much, she looks fabulous on all occasions, whether it be formal or casual, she has a subtle confidence about her! Which makes her even more fabulous! Confidence in my books is key to any outfit you put on! It is knowing who you are and feeling great about yourself. (Tip: Fake it till you make it ladies! 😉 People are attracted to confidence! It is an accessory that you must not leave home without! Haley always has this about her to me! So without further ado it is my pleasure and honor to introduce you to one of my dear friends Haley Corkill!!! Have you ever met someone whose love for people and God was so contagious you couldn’t help but be completely uplifted? For those of you who know Hannah, there is no doubt in my mind you will agree that she is just, exactly that person! I am so thankful to call her a friend and I wanted to start my post off by expressing how much I appreciate her asking me to write a little something and to thank her for continuously inspiring my heart and my closet! Question #1 What are 3 things that are a must in your purse for Vegas? Question #2: What is one of your favorite places to eat while in Vegas? H: I don’t think I can pick just one favorite place to eat at in Vegas, so many choices! Question #3: What is your favorite scripture? 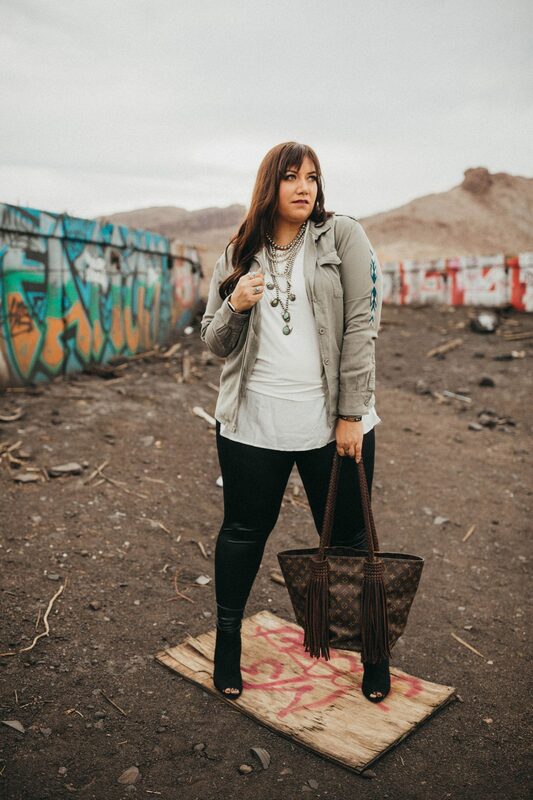 Haley thank you so much for kicking off Living In Grace & Style’s first countdown to Vegas! We all appreciate you taking time out of your busy day getting ready for Vegas to share a little of your amazing self with us!! I hope everyone enjoyed our first day of counting down! T-Minus 6 days!!! Eeeek!!! Let’s all stand in agreement and speak many blessings over Haley, Jade and the boys while they are preparing for Vegas and while they are in Vegas! Lord we thank you right now that you just shower them with your peace, love, joy and safety over the next few weeks! As well as having a very prosperous 10 rounds at the NFR this year!!! In Jesus Name we all agree and say AMEN! Today I want to introduce y’all to a sweet lady I have been blessed to know for quite some time! Miss Tamika Graves! 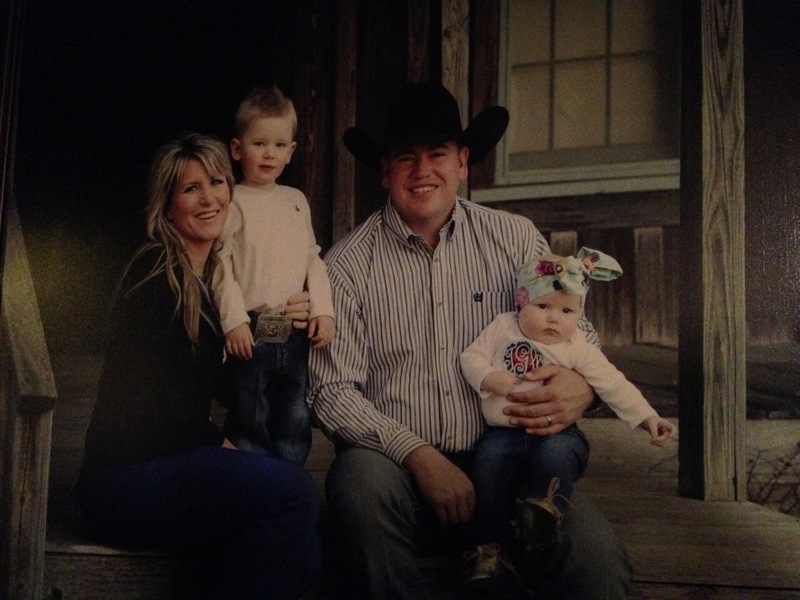 Tamika is the wife of 7x NFR Qualifier Travis Graves and mother of Tee and True Graves! By the way these kids are absolutely adorable as you’ll see below!! 😉 Tamika is quite amazing to me between being a wife and a mom she is also a avid fitness fan!! She is always so fit and I love talking to her about her kids, fitness and faith! She has also already agreed to be a guest on a Graceful Glance interview after the first of the year!! So you ladies be on the look out for that!! I do adore Tamika’s style though she is really great at pairing things together and making them look quite amazing! Example A below haha!! So with that let me introduce you to the beautiful and amazing Tamika!!! What are 3 things that are a must for your purse for Vegas? T: Baby wipes, lip gloss and my cell phone! T: The Irish Pub in The Mandalay Bay. Tamika thank you so much for taking the time to join us on our first Countdown to Vegas! I know you are busy in preparation for the Finals so we appreciate you joining in the fun! I can not wait to see your fabulous outfits you have put together!! Let us all stand together in agreement for Tamika, Travis, Tee and True for safe travels to Vegas as well as a blessed and prosperous 10 rounds!! Lord we thank you for all of this and for safety over their horses and peace in their hearts! We thank you also for being the strength they need to get through any and all things in Jesus name we all agreed and say Amen!! Again Tamika girl thank you so much for joint us and being a light for others! You are a blessing I’m glad to have and see ever so often in my life! I am so excited for today’s guest! She is yes one of my dearest friends but she is also one of my mothers! (She is my step mom but I really dislike the word step! So she is my mom as well as well as I have an amazing momma who lives in Colorado too. These 2 are actually good friends and both keep me laughing!) So today I want to introduce you to a lady whose been in my life for over 20 years now. I have been blessed to help her with her style until she took off on her own and she defiantly has got the style eyes now!! Haha! Her love for people and God is just amazing and if you ever have met her you would know! 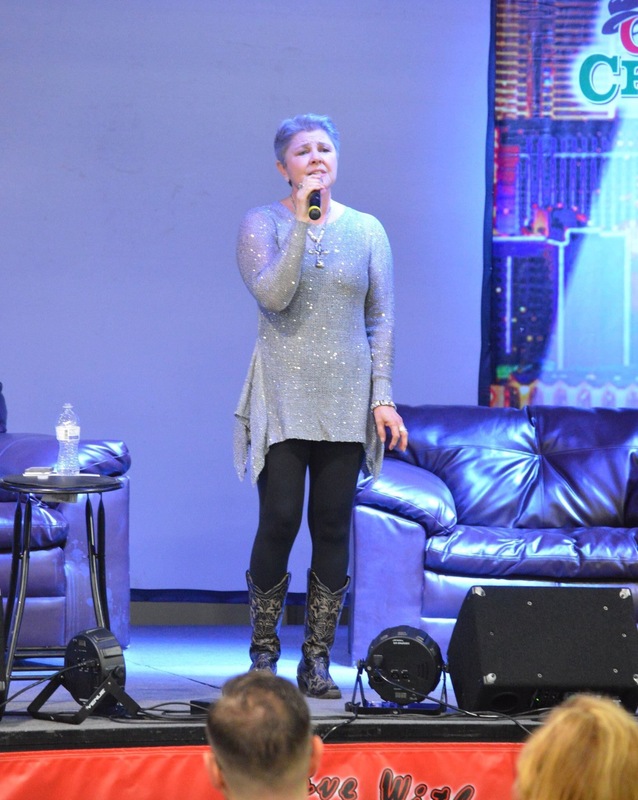 She will be singing at the church service next Sunday at 9:15 am at the Sands Convention Center in Las Vegas! (Country Christmas) So without further delay I would love to introduce you to Carol Hogner!!! C: My chapstick, extra phone charger and a $100 bill lol! Favorite place to eat in Vegas? Thank you so much MJ for joining us on today Countdown to Vegas post! You are such a blessing and encouragement to so many of us! 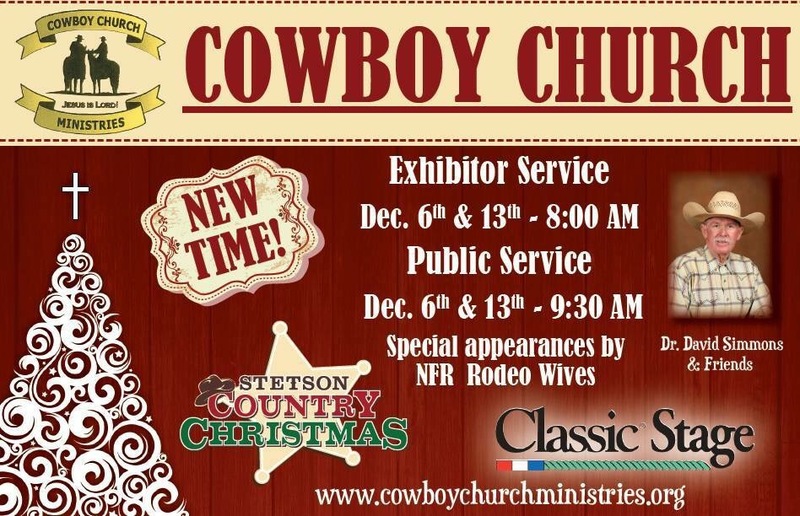 We are all really excited to listen to you sing next Sunday along with Dr David Simmon’s speaking and NFR Rodeo wives sharing their heart! COME OUT AND JOIN US SUNDAY! I hope y’all are enjoying these countdown to Vegas!! Remember to let your let your lights shine today! T-Minus 4 days! Today I want to introduce y’all to an amazing lady I have come to know and love! She is an amazing mom of 2, wife and friend! She has a heart of gold and if you have had the pleasure of ever meeting her you already know what I am talking about!!! To those of you that haven’t well you are fixing to know! So without further ado here she is the fabulous Miss Tasha Long! So as we start this weeks interview off with Tasha I want to give those of you that don’t know her a little more insight on who she is! 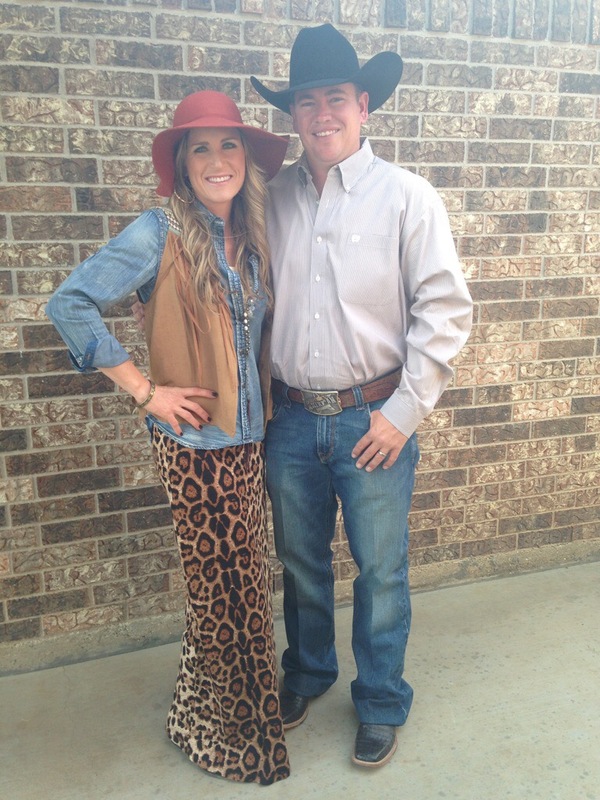 She is the wife of 5x NFR team roping qualifier Jake Long, mother of 2 beautiful girls (who by the way I simply adore like non other!). They are from Kansas but winter down here in Texas just up the road from me! I am also so blessed to get to take their family pictures every June! Haha! I love when Tasha and I get together it seems like we could talk for days on end we talk about our faith, fashion, her kiddos and just so much more! We have this un canny way of running into each in Starbucks, I think it is starting to become some kind of habit! But let us dig in to Tasha’s interview and tips on how she gets ready for Las Vegas and the NFR!!! H: So Tasha as you start to prepare yourself, Jake and the girls for the NFR what is your first priority to pack? T: Well to be honest, it’s my thieves cleaner! (Which basically disinfectant made by essential oils) I make sure we have enough to clean our entire hotel room and for spills along the way! Then all our needed clothes and accessories! H: So when packing do you prepare your outfits for Vegas? Or do you just take everything and piece it together out there? T: Well, I plan ahead so much it hurts! I try to have every outfit planned out down to the shoes and jewelry! It seems rough during packing time, but I feel like it helps me enjoy the process of getting ready each night with ease! Especially when getting my two sweet girls ready to head out! That makes perfect sense to less stress! I am a taker of all things haha as much as I want to plan my outfits well it just doesn’t seem to work out like I want! But I so commend you for getting super organized and plus I loved helping you pick outfits out too! But back to the interview! H: Do y’all do something while you are in Vegas with your sweet girls, like any traditions? T: Well we usually get there as early as we can so we have a family day before all the craziness begins! We usually play a few games at the hotel, visit the park, catch a movie and eat where they chose! Oh my goodness how fun is that! I love that y’all do that! One of the things I always admire about you and Jake is how you guys take time for family! I know that that is super important to you guys as well! H: I know Vegas is a little bit of a haul, how do you prepare for a long trip with 2 kids? Do y’all split it up into 2 days or just load up and try and get there? T: To be honest, I have the best two travelers so preparing is easy! They have traveled so much and know the routine! 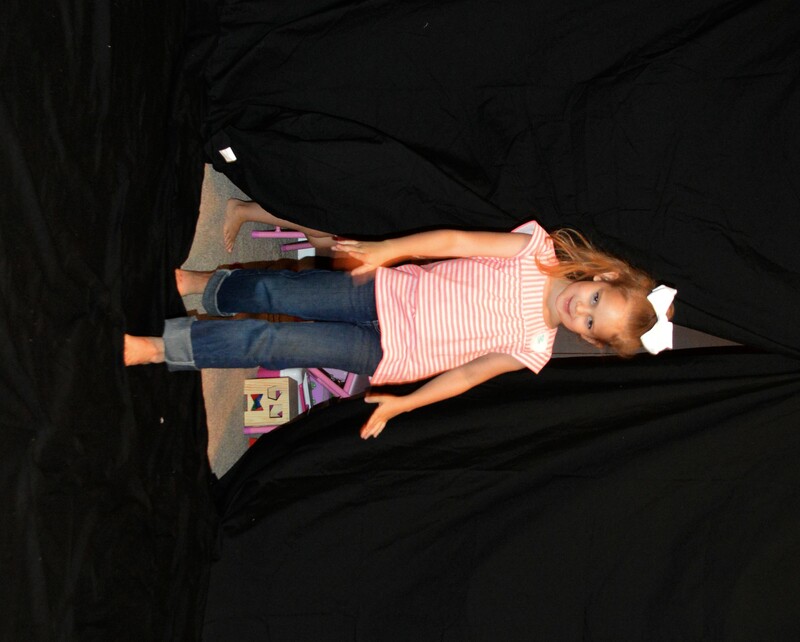 We pack books, games, movies and iPads! Both girls have their favorites and we play travel bingo too! We usually drive it in two days with the first day being the longest. We like to have a shorter drive on the second day to get there and unload! Usually pj’s are how they travel on day one since we start early and end late! H: Since we are on the topic of traveling, do you have any tips or advice for long trip and kids for new traveling moms? T: I feel very blessed that both my girls are good travelers! It does make it easier on a mom when your little ones are happy in the car seat! Starting out is tougher cause kids don’t want to stay buckled the whole trip! We would just praise them for doing so well and take a few rest stops to let them move around! As they get older, you can reward them with new books or games! That is such a great idea! I hope some of you mom’s loved that advice like I did! By the way be sure and check the link at the end of this interview and I will send you a link to my favorite place to order some AMAZING kid books!!! I have started a collection for both of my baby nephews! H: I know the days during the NFR can be a little hetic for y’all but could you take us through a typical day for you in Vegas? T: A typical day for us can be running crazy or nice and quiet! It just depends on what we have planned that day! Breakfast is always in our room…so everyone can sleep as much as possible! We usually try and go with Jake at least one day to sign autographs so we can shop a little! Other days we are visiting with family or sight-seeing somewhere if we have time that day! Sometimes we go to the park or take a tram around! Once back to the room, we rest if time allows!! I like to grab a coffee as we head inside to prepare myself to dress three girls! We try to have everyone walk-out ready in time for a quick family picture! Then we head to the rodeo! Jake gets his horse ready and I help if needed! We then enjoy hanging out at The Bistro with Ted and Linda Wiese! See y’all crazy crazy, it is like that for 10 straight days! Plus for those of you who do not know Ted and Linda Wiese they are so amazing. They cook and support the contestants and their families while at big rodeo events. While offering bible studies and prayer and just so much more! That’s is the short version they are truly amazing people with such a passion and heart for the contestants and their families! Now for some fun fashion stuff which is one of my favorite topics of course!! T: My style would be semi-dressy with a comfy vibe! I wear pieces that are cute, but still kid friendly! You never know when some little girl needs carried cause the walk is just too far! H: Do you have a go-to day outfit that you normally end up wearing in Vegas? T: My go-to day outfit would be a pair of skinny jeans paired with a cute top and short boots! I actually have day outfits planned also so I can grab and go enjoy the day! H: So what is a must in your purse for Vegas? T: I usually pack everything, but try to lighten the load for this event! My purse will definitely have baby wipes…they are a must! We eat before the rodeo and seem to find some dirt along the way! I will keep it simple with baby wipes, lip gloss, phone, camera, and rodeo tickets! H: What is your power scripture you use? T: One of my favs is Joshua 1:9. Have I not commanded you? Be strong and of good courage; do not be afraid nor dismayed, for the Lord you God is with you wherever you go. It is so calming when I say it to myself…no matter what is going on…God is always with us! I also enjoy Phil 4:13. I can do all things through Christ who strengthens me. It keeps me strong when I am feeling overwhelmed! I simply love both of those scriptures Tash! They help me on a daily basis as well! Ok just a few more questions you have been so awesome but I just want to give readers just a little last glance into your life! Haha! H: What is something that our readers may not know about you? T: Well I am actually a school teach and school counselor! What?! Wow I don’t think I even knew that haha! Surprise! That is so awesome coming from a family whose has a bunch of teachers I totally commend you! H: Ok last but not least since we are both coffee lovers? You might have me beat though haha! But what is your favorite coffee to order? T: This may be the hardest question to answer. I really like coffee! I will drink it anyway or at least try new things! Some days I enjoy sipping on an iced Americano with milk or indulge in a hot misto with toffee! Not too much sweet cause I’m sweet enough…lol! Haha Tash that is awesome!!! See ladies and gentlemen she is awesome with a great sense of humor! Tasha thank you thank you thank you for taking the time away from getting ready for the NFR to interview with me and let us in on just a glance of your life! You are truly such an amazing woman and I am extremely grateful God has brought us together as friends!!! We speak blessings over you, Jake and the girls as you prepare to leave! I hope y’all enjoyed taking a Graceful Glance into Tasha’s life! So as Haven is showing us work the runway of life like nobody’s business! Let God be #1 in your life and know that you can do ALL things through Him who strengthens you!! Work it girls! Check out Usborne Books Chelsy Lyes is a dear friend of mine and an amazing Consultant so here is her website and Facebook page. These would make great birthday gifts, baby shower gifts, rewards, home school reading books well the skies the limit check them out!! !